In the midst of the hustle and bustle Hotel Druk Phuntsholing offers an attractive setting. Combining classical architecture with modern comfort the Druk Hotel offers 32 beautifully appointed rooms including 2 junior suites and 1 presidential suite. Hotel Druk is perfectly positioned. 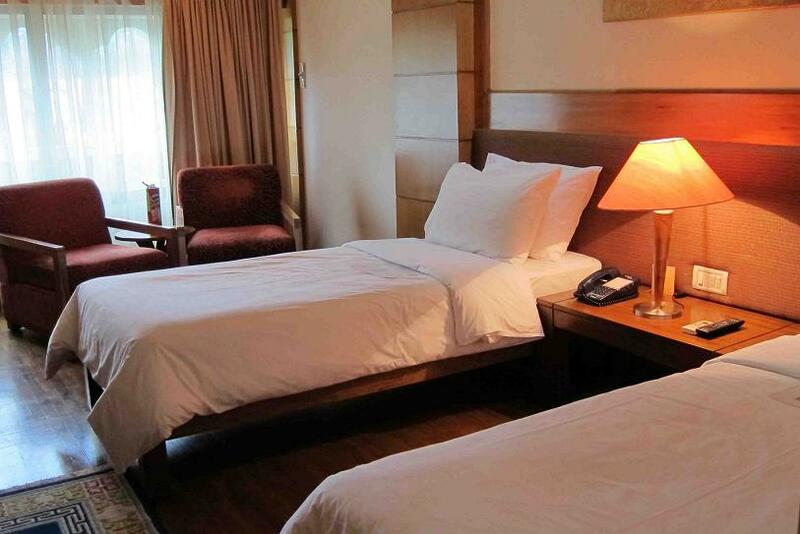 A stay at hotel Druk guarantees easy access to the main city and the shopping options. Druk is a 4 star City Hotel which offer superior rooms and suites, all of which have been designed to the most exacting standards of contemporary styling. All of hotel guestrooms have air conditioning. For business meetings & conferences the hotel has conference hall and state of the art amenities to suit parties and events of all sizes. WIFI facility is available in all rooms and public areas. Renowned for its cozy atmosphere, warm hospitality, excellent restaurant and considerate service, Hotel Druk Phuntsholing is the best option in the gate way to Bhutan. Restaurant, Bar, Travel Desk, Business Center (open 24 hrs), In house Laundry, Fitness Club/Gym, Taxi Services, Internet – Wireless, Barber/Beauty Salon, Banquet/Function Facilities, Forex, Shopping, Conference Room, Room Service, Air Conditioned, Attached Bath, Newspapers/ Magazines Available, Restaurant, Car Parking, Running Hot & Cold Water, Wall-To-Wall Carpet, Satellite Television, Reading Room, Room Service, Laundry Service available, Secretarial Services, Cafe/Coffee Shop, Hair Dryer, Refrigerator, Meeting Room, Telephone, Orientation – Cultural, Safe deposit boxes at reception, Daily Housekeeping, Foreign Currency Exchange, In-Room Coffee and Tea Making Facilities and Conference Room facility Available. Cultural Arts and Craft Interactive activity, Cultural Visits/Tours and Jogging / Walking. Famous for its high quality food the multi cuisine restaurant serves Bhutanese Indian, Chinese, Continental fare. Designed to perfection the restaurant also has a mini bar and serves a wide variety of international and local beverages. Hotel Druk Phuntsholing has an extensive lawn and the guest can enjoy open air barbecue in winters. Hotel Druk Phuntsholing is the perfect destination for finest living and is conveniently located in the heart of the city. Offering 32 rooms including 2 suites and 1 presidential suite the rooms are all are conditioned. 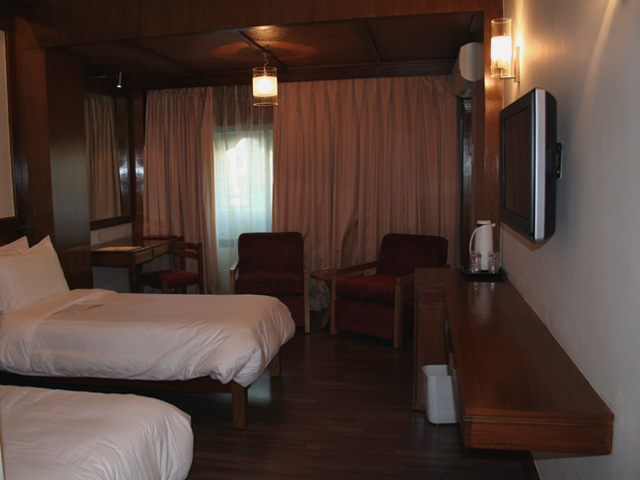 Every Room has Air Condition, Wireless Internet, LCD TV, Attached Bathroom, Mini Bar and DVD Player.